Hanoi (VNA) - Tourism enterprises, experts and managers on November 17 discussed ways to promote tourism in the north central region after the massive fish death crisis that hit the coastal areas in April. The conference attracted representatives from Thanh Hoa, Ha Tinh, Nghe An, Quang Binh, Quang Tri and Thua Thien-Hue provinces. Nguyen Van Tuan, head of the National Administration of Tourism (VNAT), officially launched a campaign to revive the tourism industry, which suffered serious loss recently. “The environmental trouble caused major losses for the local economy, including tourism,” he said. 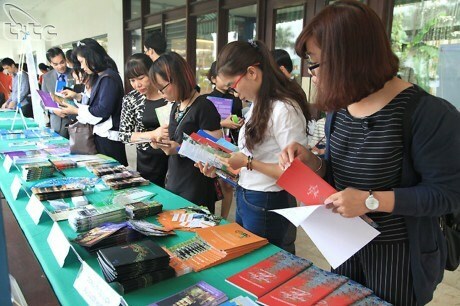 By the end of this month, the VNAT will organise two familiarisation trips for the media and travel agents from Hanoi and HCM City to the north central region to promote tourism products. Next month, the VNAT will hold a road-show in Bangkok and Udonthani (Thailand) to introduce the region to the Thai market, which is close and accessible for overland travel. Le Tran Sang, Vice Director of the Ha Tinh Department of Culture, Sports and Tourism, suggested that apart from beach tourism, the northcentral region can lure tourists with cultural and spiritual products. “Ha Tinh will promote tours to historical relics, pagodas and ecological sites in the near future,” he said. Also the same day, the Institute for Tourism Development Research met with media and tourism agency representatives in the north central region. “The tourism potential of the region is very big and we should find a strategy to promote and invest effectively,” said Nguyen Anh Tuan, director of the institute.